Last week I attended VMworld 2011 in Las Vegas, together with my colleague at Wageningen UR, Monique Vanmeulebrouk (Twitter: @moniquevmb, blog: thisvirtualrealm.com). 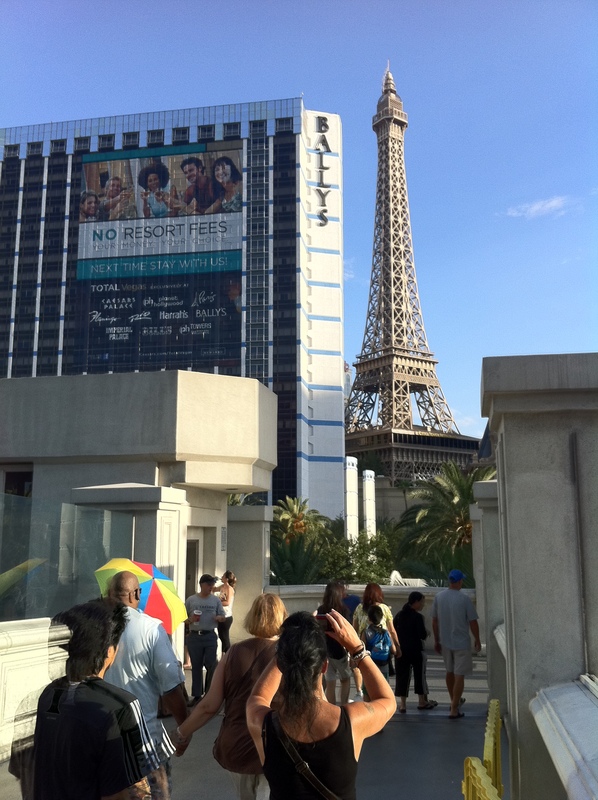 This was my first VMworld and my first time in Las Vegas. And I was really impressed both by the event and the city. In this post I will show you some of the pictures I made last week. VMworld 2011 took place in The Venetian. The Venetian is a huge hotel and congress center. 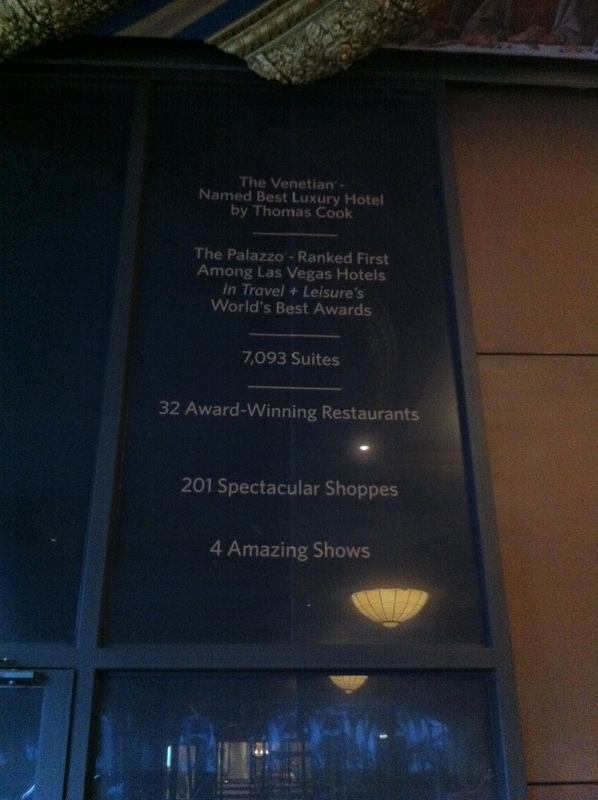 At the outside of the hotel there is a sign that shows how big the hotel is. 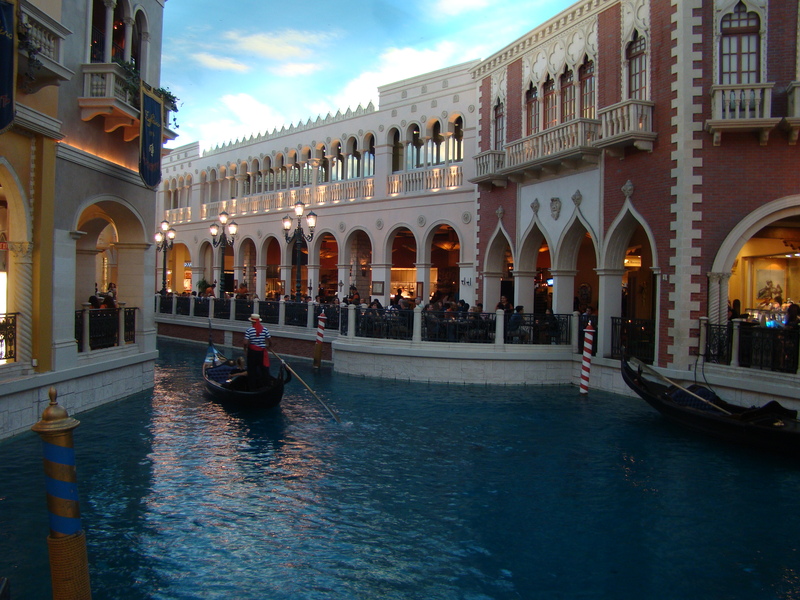 In the hotel there is a canal with gondoliers like in Venice. 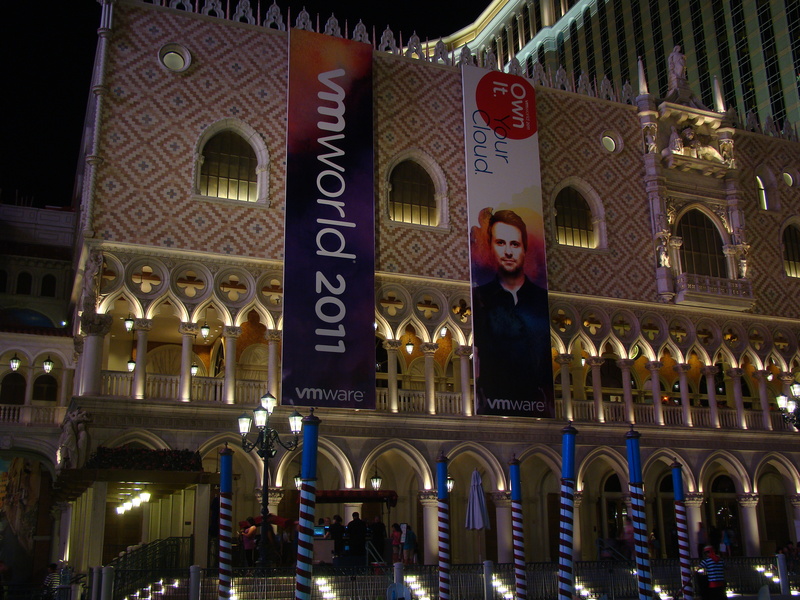 There were 19,000 people attending VMworld 2011. All had to register for the event. Monique taking a picture of the Las Vegas Eifel Tower. At Monday morning at 8:00 AM we had our first session. Due to a jetlag we had no problem standing up early. 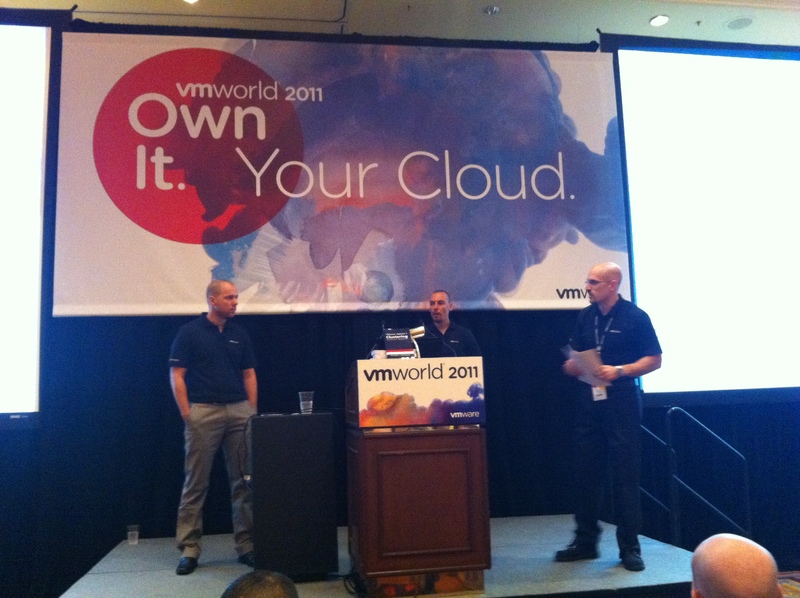 The first session “VMware vSphere Clustering Q&A” was presented by three VCDX’s: Duncan Epping, Frank Denneman and Chris Colotti (from left to right). 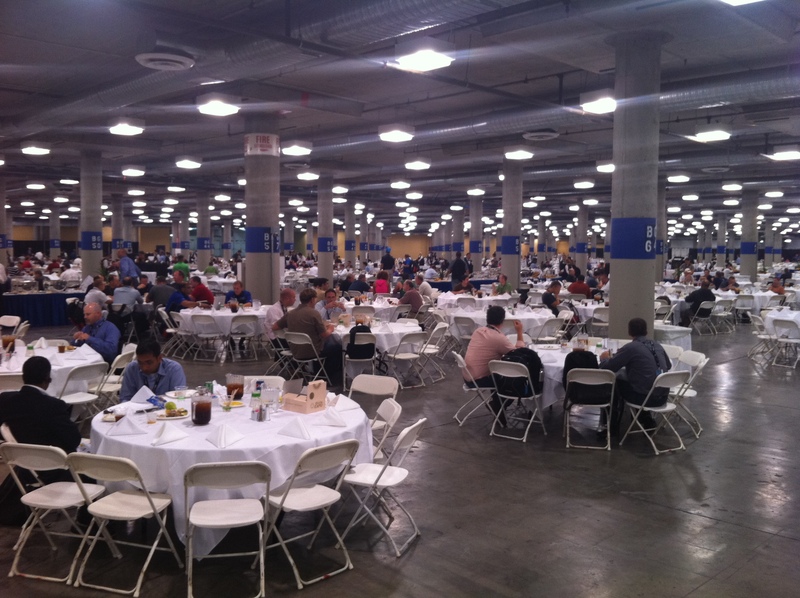 With 19,000 people attending VMworld you can imagine how big the breakfast and lunch hall was. A lot of people waiting for the first General Session to start. The first General Session almost starts. 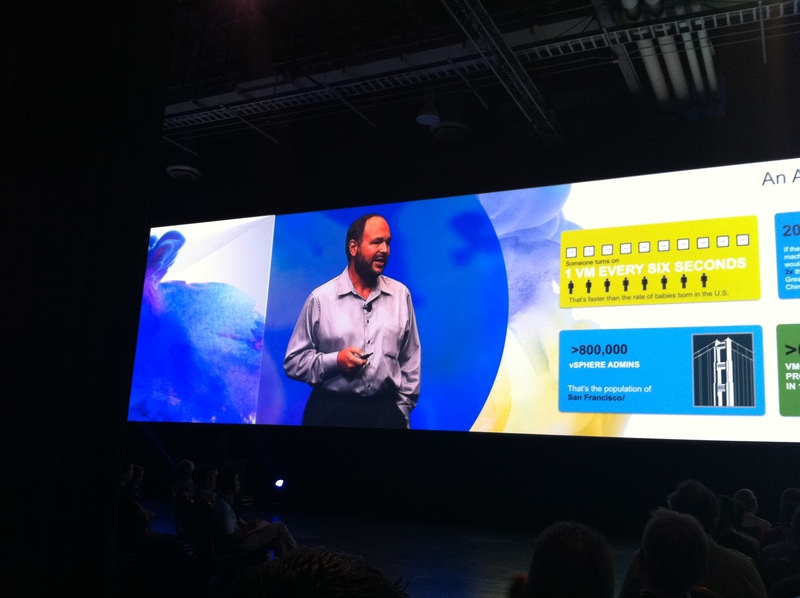 VMware CEO Paul Maritz talking at the first General Session about the number of vSphere admins. In vSphere 5 it is possible to create virtual machine’s with 32 vCPU’s and 1 TB of memory. 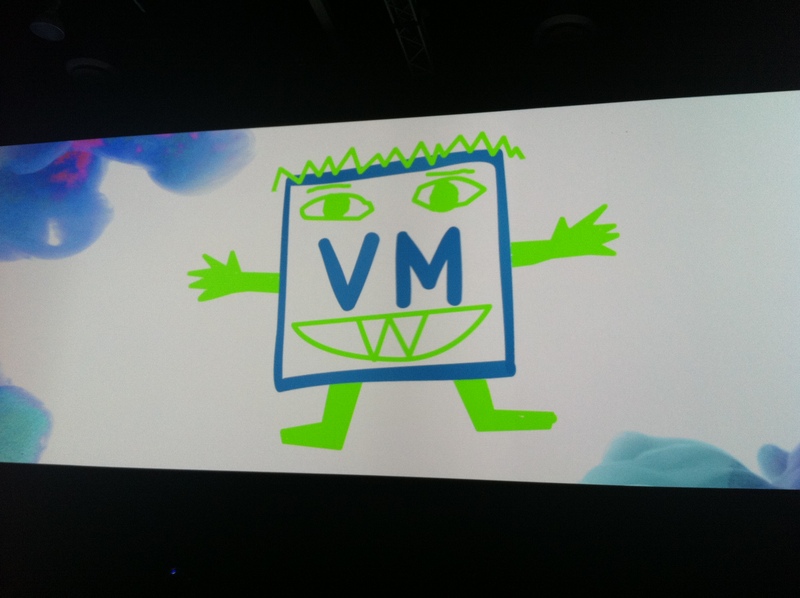 Such VM’s are called Monster VM’s. Here you can see what it looks like. 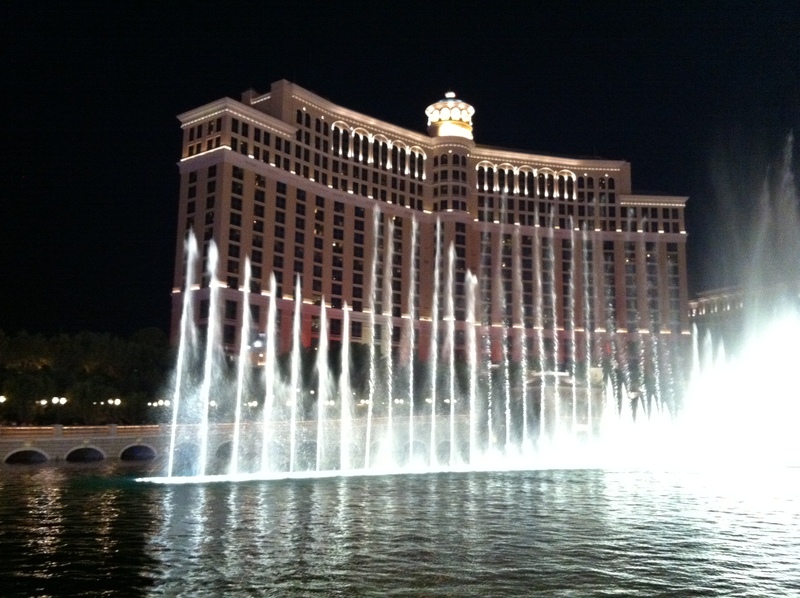 Every half an hour there is a big fountain show in front of the Bellagio Hotel. 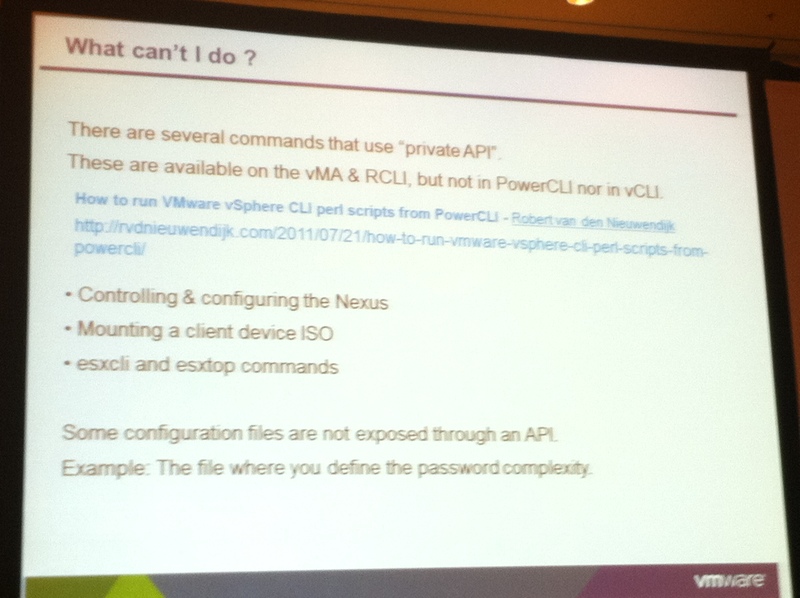 While attending the “VMware vSphere PowerCLI Best Practices” session by Luc Dekens and Alan Renouf I was surprised that suddenly my name was on a slide, with a reference to one of my blog posts. As I only recently started this blog, you can imagine how proud I was. At VMworld it was possible to take 27 Hands-on Labs. I only took one lab, but I heard some people took them all. The lab room had 480 positions to take a lab. And still there were queues to get in. 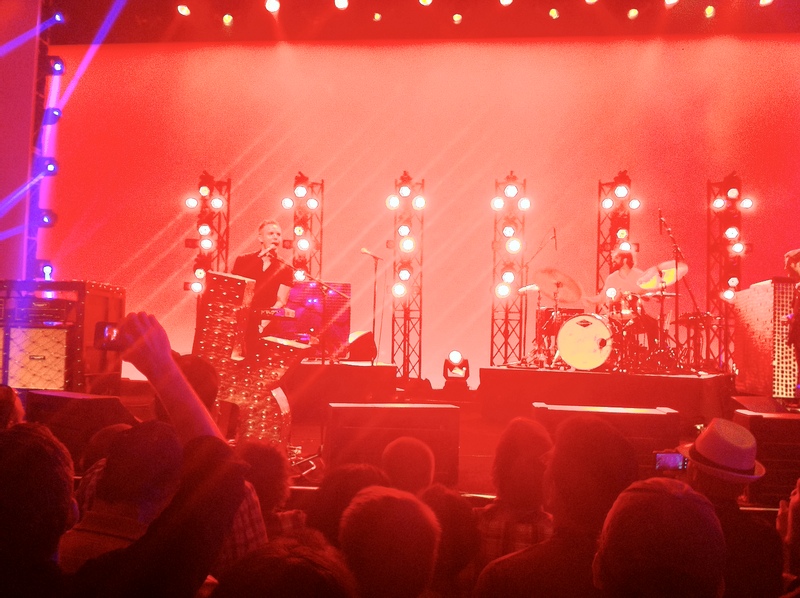 At the VMworld Party there was a performance of the band The Killers. Knowing most of their songs and standing almost at the front row, I really enjoyed their show. After The Killers there was a Pool Party with some real mermaids. VMworld finished on Thursday and we flew home on Saturday. So we had an extra day for some sightseeing. 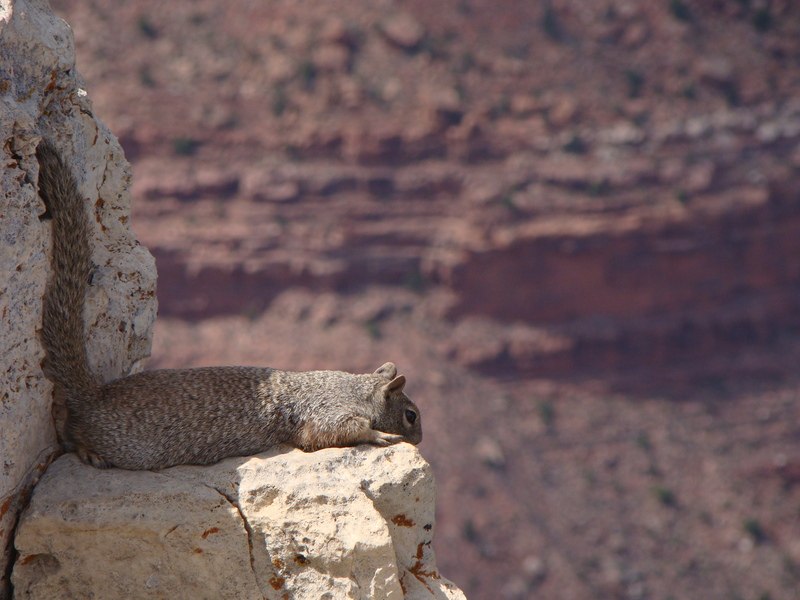 We decided to go to the Grand Canyon South Rim in Arizona. It took a six hour bus ride to get there, but it was worth it. 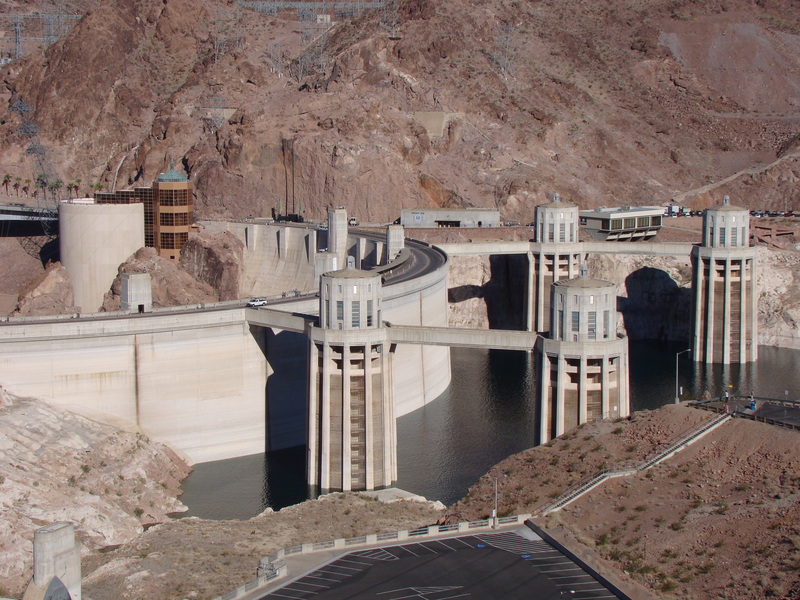 While passing the Colorado river we made a short picture stop at the Hoover Dam. The Grand Canyon was very beautiful. 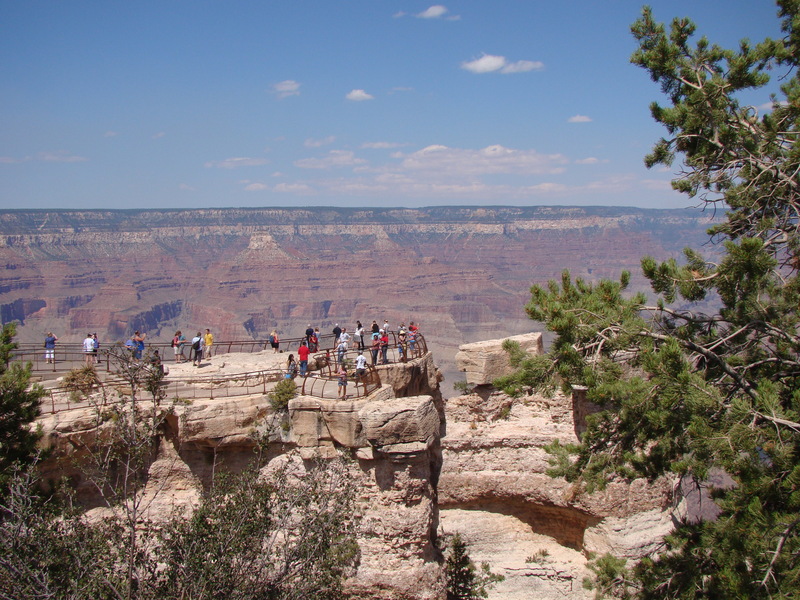 We walked along the 4,1 km trail between Mather Point and Bright Angel Lodge and made a lot of pictures. And one picture was taken of us. Walking the trail we saw a lot of squirrels. VMworld was all about the cloud. Being a glider pilot, I know that a lot of clouds have their origin from thermals. Normally you can’t see these thermals. But they are below the clouds. That is why glider pilots circle below clouds to gain extra height. 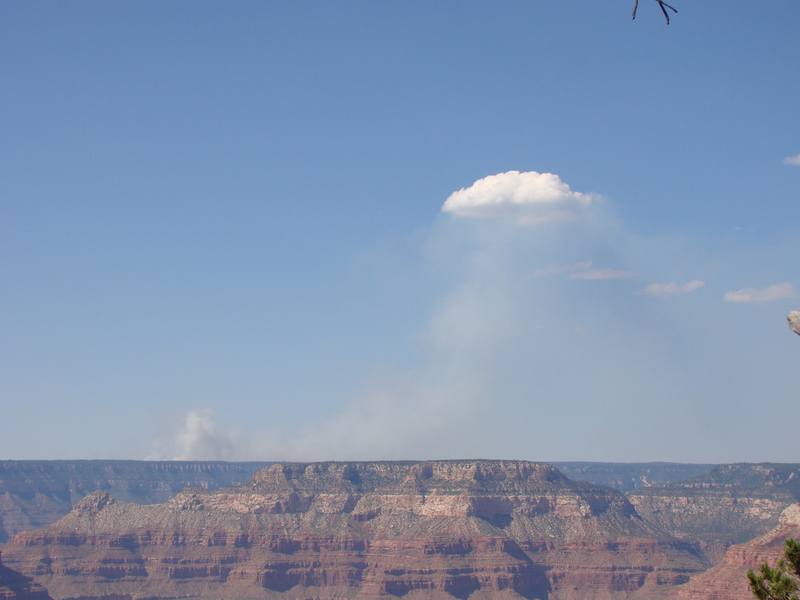 At the Grand Canyon for the first time I saw a cloud that showed the thermal below it. I saw the origin of the cloud. 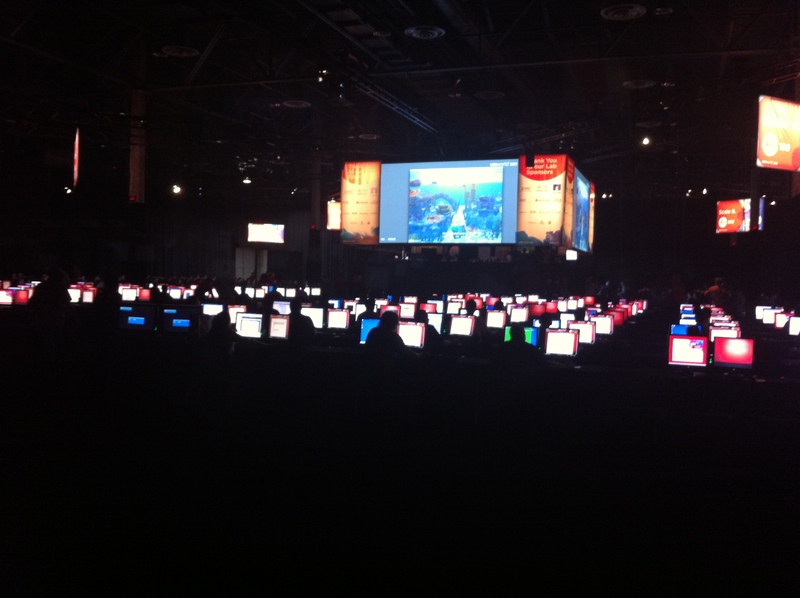 This was my first VMworld and I enjoyed it a lot. I met a lot of people I know from the Internet, but had never seen in real life before. I was impressed by how big the congress was. I learned a lot about vSphere and other VMware products. And luckily we had some time for sightseeing. 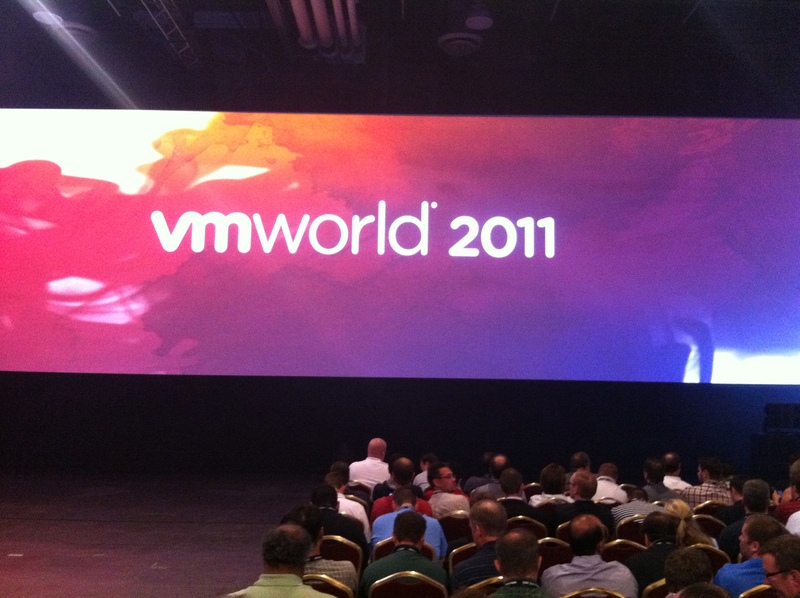 Next year VMworld will be in San Francisco from 27 till 30 August 2012. I definitely will try to be there.